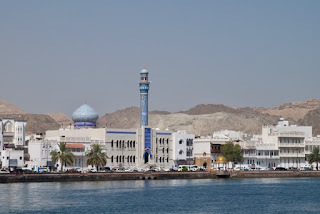 Muscat is like a breath of fresh air after the excess of Dubai, Abu Dhabi and Doha. This place has stayed true to its Arab roots and ignored the flashy attractions of high rise buildings and man-made islands. 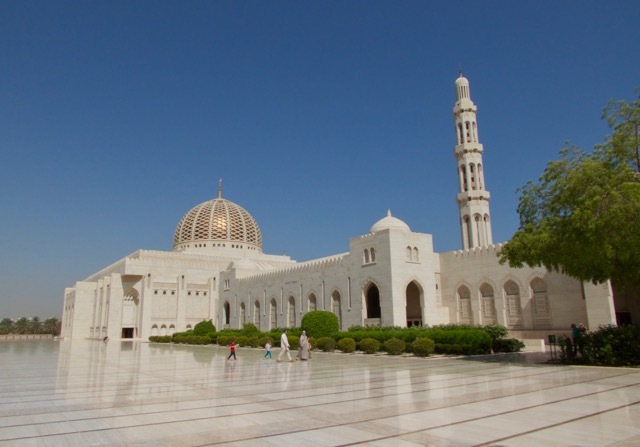 But, if there is one thing that Muscat has tried to rival its Gulf neighbours in, it's in the size and magnificence of its Grand Mosque. Admittedly Abu Dhabi's amazing mosque is a bit larger and has more of a visual impact. 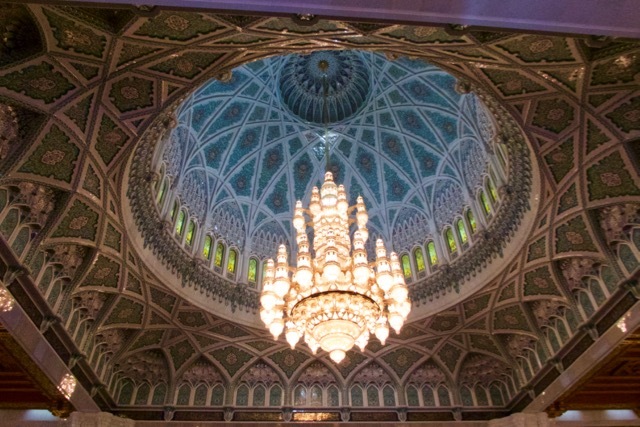 But, with Abu Dhabi, there's a bit of a feel of it being a Disneyland Mosque – all about showing off. 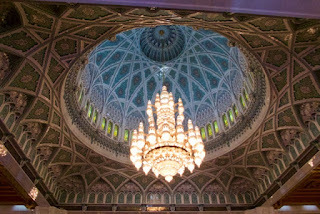 Like Oman as a whole, Muscat's mosque is much more restrained and a little more tasteful. My tour started by visiting that impressive Mosque – enjoying walking on the world's second biggest carpet, under the light of some of the biggest crystal chandeliers in the world. 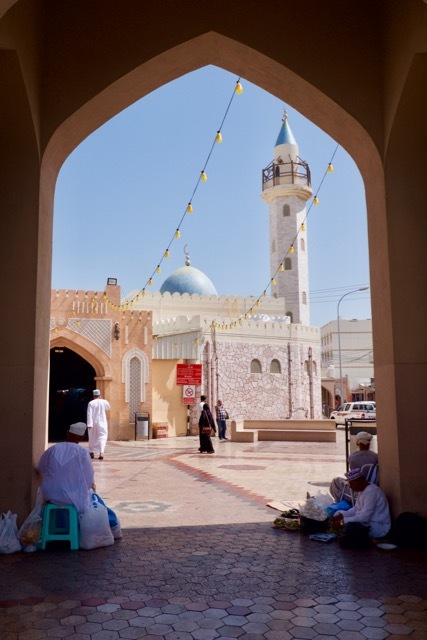 Oman's branch of Ibadi Islam is a much more moderate and tolerant part of the religion, and it was nice to be in such a relaxed atmosphere inside the mosque. Next, we drove out of town – Muscat is growing relatively quickly, but it's expanding horizontally rather than vertically – to visit a fish market along the coast. 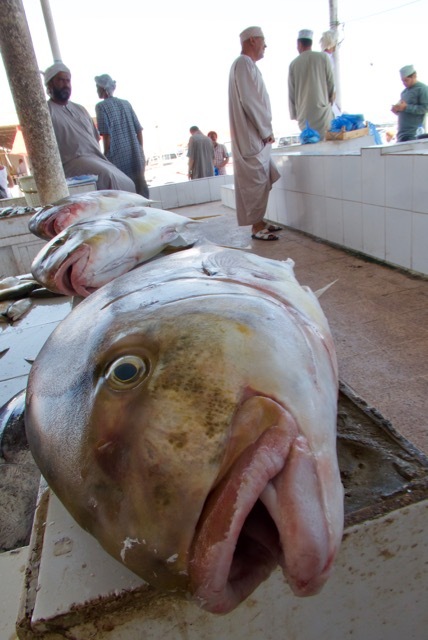 This was one of the smellier markets that I've visited, with plenty of blood and guts on display as the huge variety of fish were hacked up in front of us. Nevertheless, the people were friendly, and it was nice to visit a Gulf market, where the people were locals, rather than foreign workers from South Asia. Our final stop was to visit the historic fortress at Nahkl, out in the foothills of the Green Mountains. It was so incredibly hot and bone-dry, that these so-called "Green Mountains" were looking unrelentingly Brown, so someone must have used a bit of marketing spin in their naming. 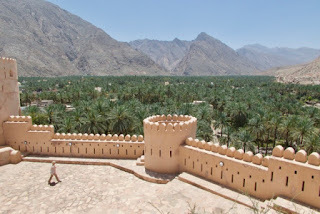 However, the setting and architecture of this imposing fortress were pretty impressive, and it was fun to explore its rooms and ramparts before the heat got too oppressive. Before leaving, we stopped to cool off at a spring next to the fort. The water was actually coming out of the earth hot, but it made for a refreshing stop, dipping our toes in the water, while tiny fish nibbled away at them. Today summed up everything that Muscat does well – genuine markets, not flashy malls; elegant mosques, not theme park attractions; historic fortresses, not ultra-modern sky-scrapers. Long may it continue.